Cricket Valley Fracked Gas Power Plant Tractor Blockade from Lee Ziesche on Vimeo. 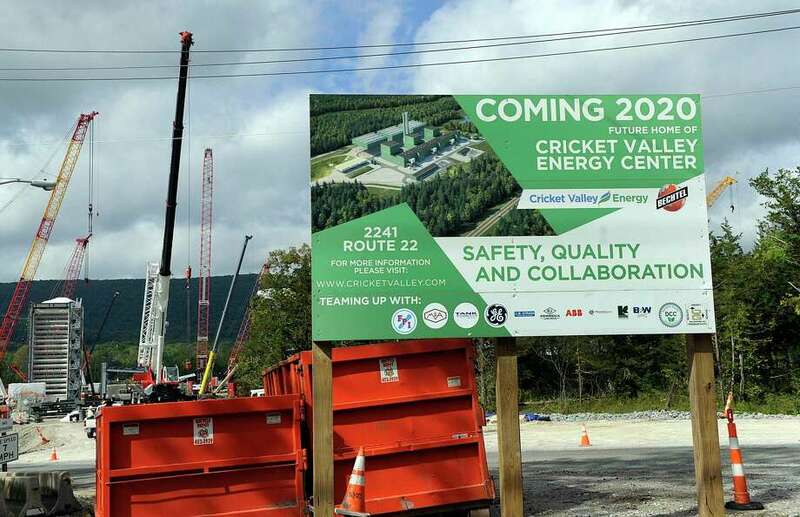 Cricket Valley Energy Center is under construction in Dover, prompting concerns and outrage from Connecticut residents just over the state line. Photo Wednesday, Sept. 26, 2018. 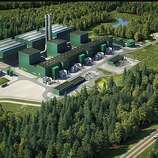 The plant is expected to generate 1,100 megawatts of power when it goes online next year. At a public forum in Kent last year, representatives from the Connecticut Department of Energy and Environmental Protection said these types of plants are needed to help transition to cleaner energy because they replace dirtier coal-burning plants in other parts of the country. They said the renewable energy industry isn’t able to store excess solar or wind power yet to supplement the grid when the sun isn’t shining or the wind isn’t blowing. However residents argue that when the Cricket Valley project comes online the air will become more polluted for those around the plant, especially because a plant was not there before. Connecticut residents are especially angry because they said they didn’t learn of the project until New York already approved it and it was too late. This prompted DEEP officials to introduce a new way of informing Connecticut residents of these projects in neighboring states by posting them online. At the Kent forum, DEEP officials said the preliminary modeling for the project, which were done as part of the permit requirements for New York and the U.S. Environmental Protection Agency, show the greatest impact for the project happening southwest of the plant in New York. An air monitoring station has since been installed in Kent to track the air quality and note if the air worsens. The men arrested also said they are concerned about the methane that will power the plant and say renewable-energy is needed more than gas-powered plants.